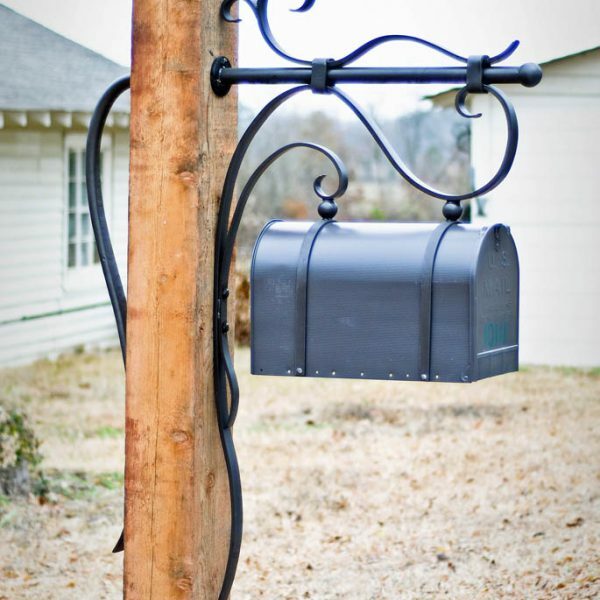 The Hanging Link Mailbox is a whimsical play on joinery. The ironwork is bolted to an 8 foot tall cedar post with a matching plate on the back. 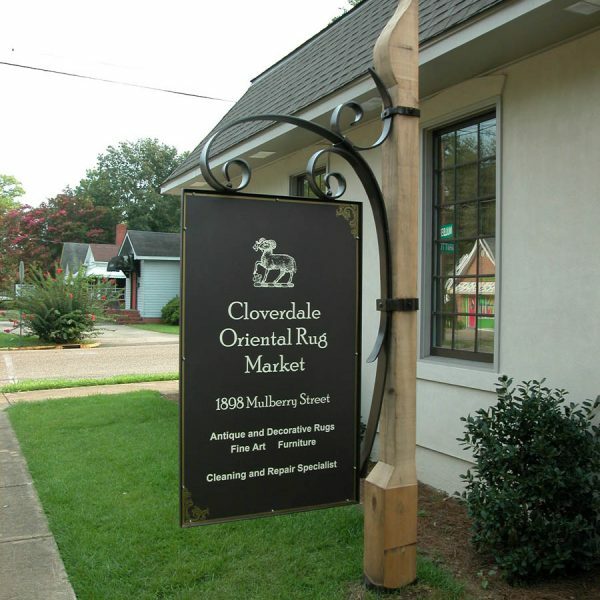 The mailbox is slightly larger than the typical residential mailbox we use on the Kingwood Mailbox and is perfectly suited for a neighborhood setting. 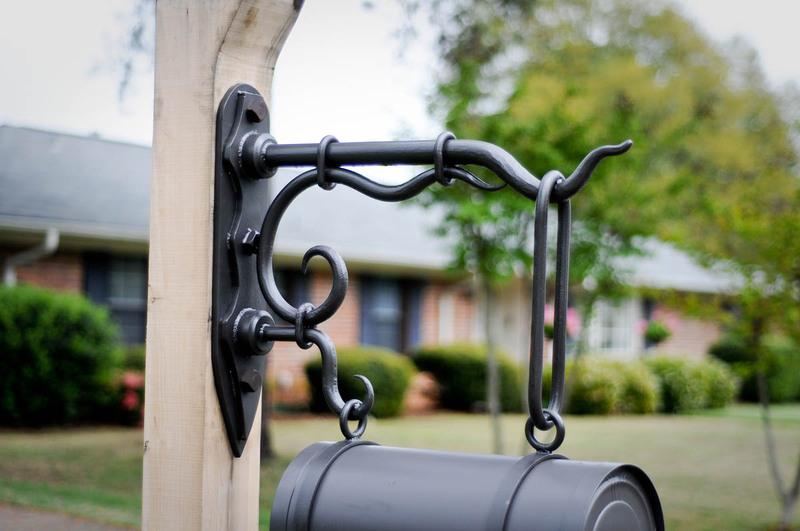 The Hanging Link Mailbox is available as the complete assembly or, for those who want to use their own wood, the ironwork with the mailbox is available.